Ready to join a fast-paced, dynamic Food & Beverage industry? Our industry brings people together. Whether in weddings, birthdays, or just a family dinner, we are a part of most major life events for people across the nation. Food & Beverage is a dynamic and energetic sector comprised of innovative and creative employees. While many people think of our industry as a service-focused industry, we have an incredible number of career paths for those ready to jump into a new career, including placement as suppliers, distributors, and retailers. Each facet offers a vast spectrum of career opportunities. Why Veterans, Members of the guard and Reserve, and Military Spouses? The food and beverage industry offers a vast variety of careers that range from entry level to degree concentrated roles. Those with a military background have thrived in the fast-paced, team focused environment of this industry because they tend to be fast learners who think strategically on their feet. Military personnel demonstrate unparalleled competencies like dedication, loyalty, and resourcefulness that make them instrumental within the beverage operation. To learn more about how your military foundation will help you build a career in this industry, click on Deep Dive below. Ready to learn more? Use these steps below to help you learn more about the Food & Beverage Industry, people like you who have made successful transitions into their civilian careers, and what jobs are available. Don't worry about taking them in order; these are just guidelines for you as you familiarize yourself with the industry and what it offers. First, review stories about those who have successfully transitioned into the Food & Beverage industry. Click on the button below to view success stories. Second, speak with employers about different career paths and opportunities available in Food & Beverage. Click on the button below to learn more. 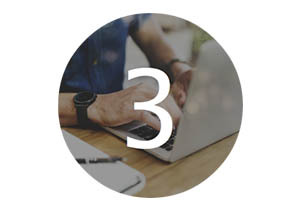 Third, search and apply for jobs in careers that fit you best. Click on the button below to search for jobs in the Food & Beverage industry.